This week’s blog is a guide to the major national parks in Tanzania. Tanzania is a beautiful East African country that is known for its vast areas of wilderness and areas of natural beauty. This makes it a perfect safari destination and with all of its national parks, each of them offering something slightly different, you will never be short of something new to see or experience here. Tanzania is one of the most sought after safari destinations as here you will get to see everything from seeing the world’s last primates in the wooded hills above Lake Tanganyika to seeing rare species which you will not have the chance to spy anywhere else in the world. First up we have Serengeti National Park which is widely considered to be Tanzania’s most famous park. 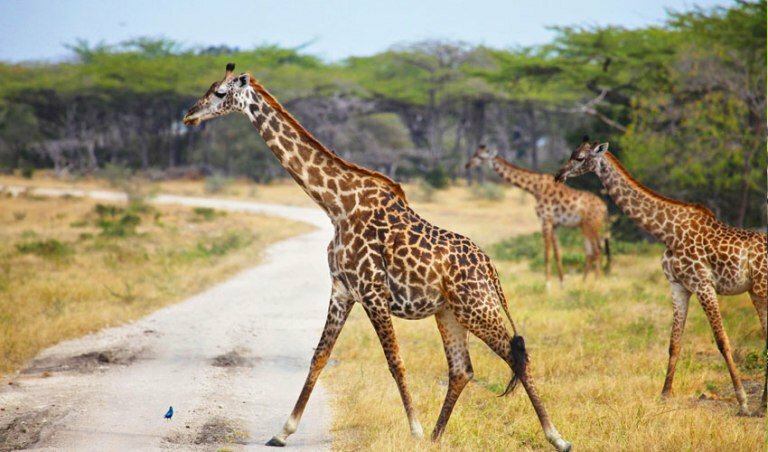 This huge park which stretches to just under 15,000km2 is known for its own Serengeti ecosystem and varied landscapes with all habitats ranging from flat-topped acacias and wild hills to rocky mountains and flat plains. 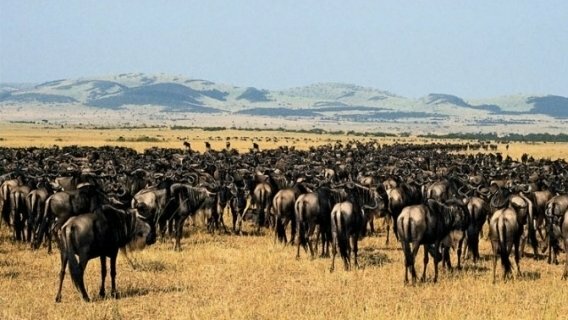 This national park is ever-growing and is famous for its migration of around 1.5 million wildebeest and 250,000 zebras as well as many other species including giraffes, gazelles, cheetahs, elephants, lions and buffalos. Across the park you can see the movements of the different species, this is especially evident in the summer months of June through to August where you can see large herds forming on the banks of the Grumeti River. Whilst you are here to visit the fantastic Serengeti National Park, there are some great options for accommodation. 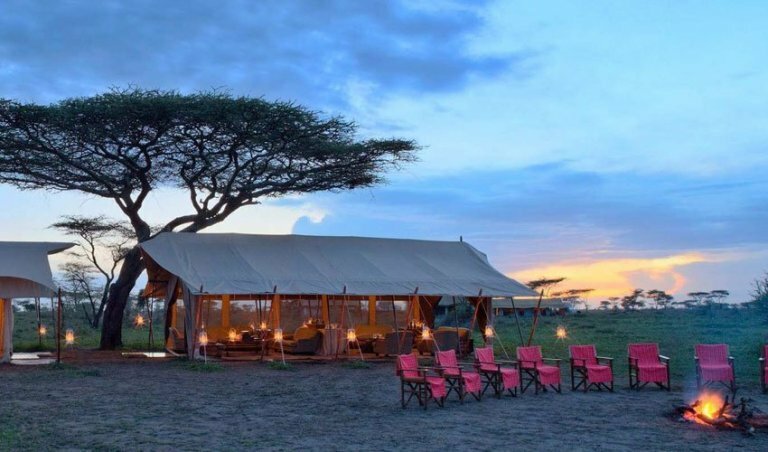 Serengeti Under Canvas is a semi-permanent tent that is moved around the park over the year in order for guests to be brought closest to the migration and this luxury camping is the best way in which to explore Serengeti to the full. You can also stay at Serena Safari Lodge where all the accommodation blends effortlessly into its surroundings and the rooms are beautifully decorated with private balconies boasting views of the plains. 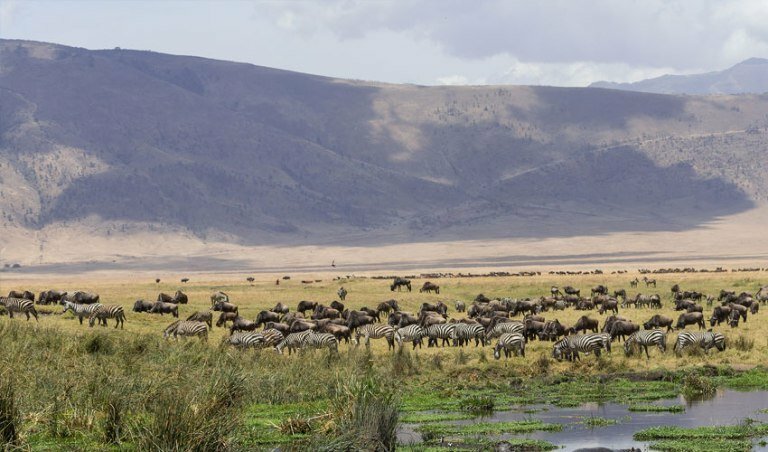 Next up, we have the Ngorongoro Crater which is deep volcanic crater which some 2,000 feet deep and 100 square miles in extent. Whilst you are here, not only will you have the chance to see The Big Five roam around but also hippos, baboons, hyenas and giraffes. Of special interest, there are many flamingos present in the crater as well as black rhino. For those of you who are interested in birdwatching as well, you will not be disappointed as there are more than 200 bird species for you to identify. Whilst you are on a safari near the Ngorongoro Crater there are several great options for accommodation; here are two of them. 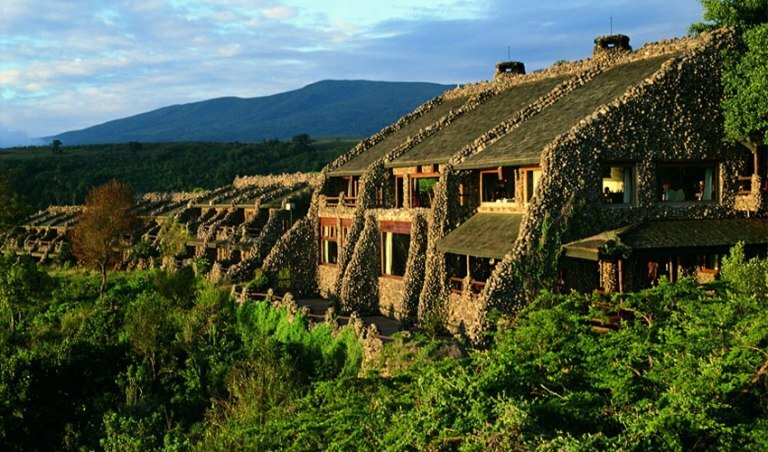 Ngorongoro Serena Safari Lodge is set on the edge of the crater and boasts its own spa and rock-enclosed balconies from which you can look into the crater from or Gibb’s Farm where you can stay in a warm, luxury inn in a tranquil setting with uninterrupted views from wherever you are. 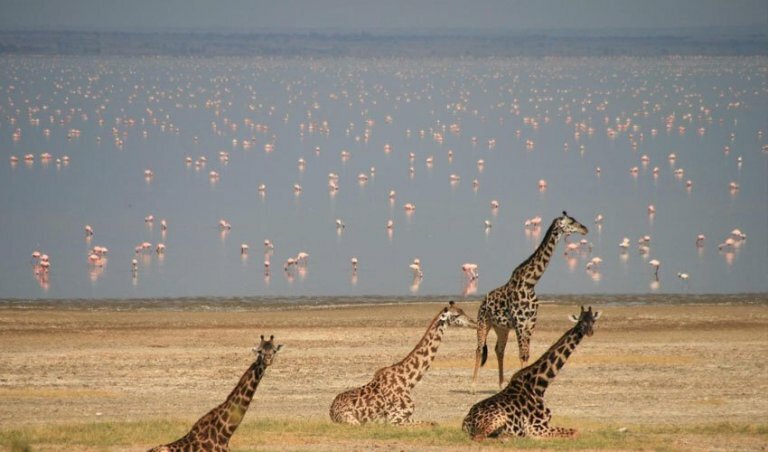 Lake Manyara is a small national park but some of the opportunities here are unrivalled by any of the larger parks. Whilst you are here, you can get up close with the park’s elephant groups as they are so relaxed and docile. You can also see the flamingos and other rarer species which are often harder to spot when you are on safari in one of the larger parks. Although you won’t see many big cats whilst you are here, some lions can be seen climbing the trees and with morning safaris so quiet here you will get to fully experience the tranquillity of this park. Whilst you are here, we recommend the Lake Manyara Tree Lodge where you can experience the height of luxury whilst being able to watch for tree-climbing lions and the herds of elephants. Another fantastic place to stay here is the Lake Manyara Serena Safari Lodge where the lodgings are perched on the edge of the cliffs in order to get interrupted views of the lake. 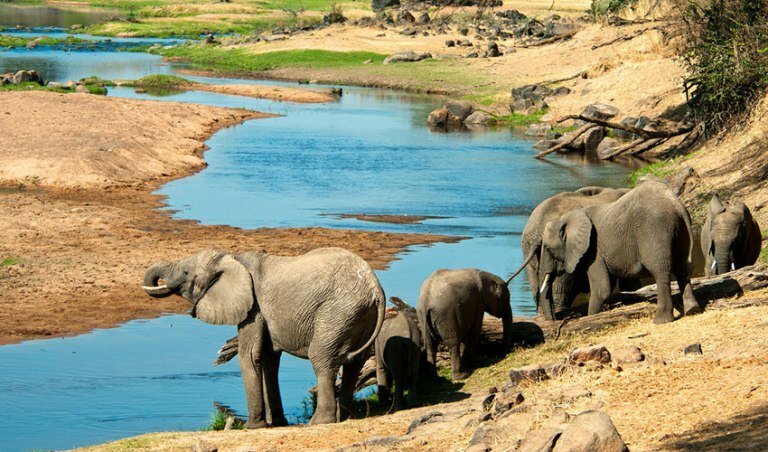 Tarangire National Park is known for its herds of huge elephants that in the dry months (June through to October) can be seen digging up the riverbeds searching for underground springs. 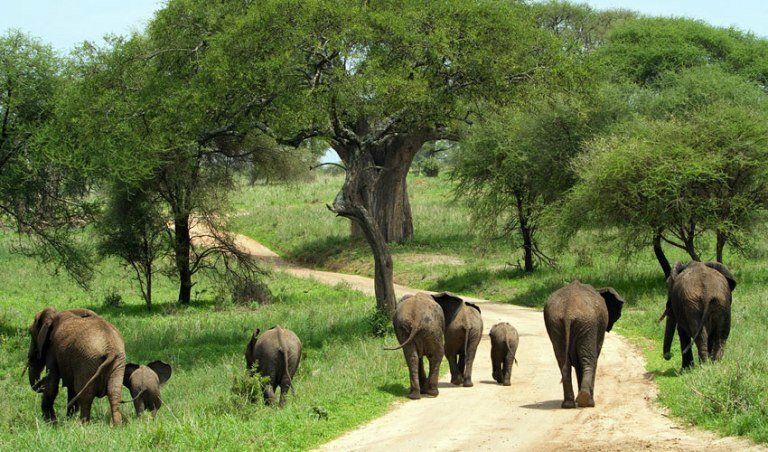 The great thing about Tarangire as well as the previous three parks is that they are all located within close proximity to one another so that you can move on to different national parks throughout your safari holiday. When you are at your stop for Tarangire National Park make sure to enjoy one of the en-suite tents at Oliver’s Camp or one of the luxurious canvas pavilions at Sanctuary Swala Lodgewhere you can get very close to the watering holes for game spotting. Next we have Ruaha National Park offers you the chance to experience some of the best game viewing with four out of the Big Five present here (the park doesn’t have rhinos) as well as wild dogs, cheetahs, impala and crocodiles. This is one of the most significant and iconic safari destinations and everyone from first-time safari goers to seasons safari travellers alike will enjoy coming here. This is an unspoilt park where you can enjoy unique benefits like the Great Ruaha River where you can spot rare fish and at the park there have been sightings of the rare Greater Kudu which you can’t spot at any other national park here. There is no better place to stay whilst you are here than Jongomero which is in the heart of the park situated on the edge of the river sand. Its location means that you can get to watch animals go to the river for water right on your doorstep and with no fences around the camp, the animals are free to pass through as they please. The Mahale Mountains is a vast national park with mostly rugged terrain and a large amount of primates. 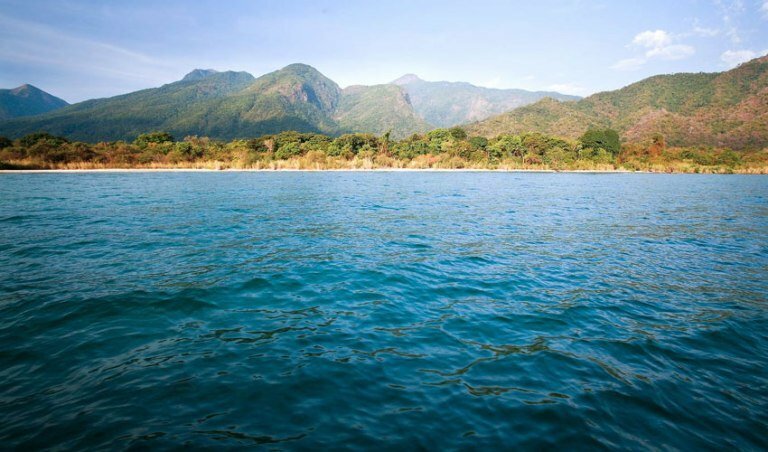 It is known for its large chimpanzee population and asides from watching the primates, you can enjoy fishing, snorkelling, kayaking, different water, mountain climbing or you can even relax on the lake’s beautiful and unspoilt beaches. This is a stunning natural park and is one definitely not to miss out on if you are visiting the Kigoma Region. 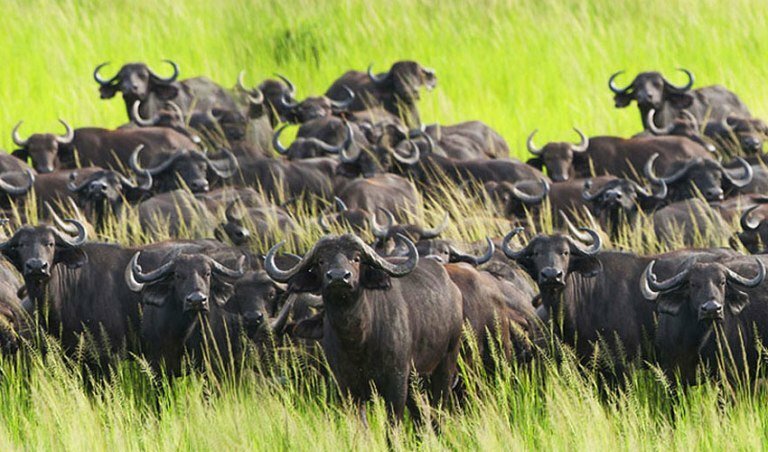 Up next, we have Katavi National Park where you will have an unforgettable trip filled with diverse wildlife and impressive sightings such as those of thousands of buffalos arriving at once. Lake Victoria is the largest lake in Africa and you can see hippos and crocodiles here as well as giraffes, zebra, buffalo, lions and hyenas, just to name a few! There are two fantastic options for accommodation here with the Greystoke Mahale where you stay in tents and experience beautiful views out to the Mountains of Congo. The second recommendation is Chada Katavi which is in the centre of the park, you stay in safari tents which are raised to allow stunning views of the Chada plain and the constantly changing wildlife. Last, but not least, we have the Selous Game Reserve which is three times the size of the Serengeti and is one of the largest faunal reserves in the whole world. Many of the areas throughout the reserve are uninhabited and haven’t been touched by man so you can experience a bit of “Old Africa” here. There is great game viewing opportunity here and this reserve is one of the best places to see wild dogs and lions, especially along the lake shores. You can choose between a guided boat safari or a guided walking safari to get the opportunity to see as many different animals as possible during your stay. Selous Serena Luxury Camp offers its guests the ultimate luxury with well-appointed tents furnished like hotel rooms! Alternatively, you can enjoy stone-built, palm leaf thatched cottages and private verandas at Beho Beho Camp. We hope that you enjoyed this blog, with many of these reserves, the best time to visit is in the dry months (June through to October) so that you get the clear, bright weather when visibility is best!